Pro Tools | Pro Tools Tip - Edit Faster. Zoom Your MIDI To Fill The Screen From Lowest Note to Highest With This Handy Shortcut. 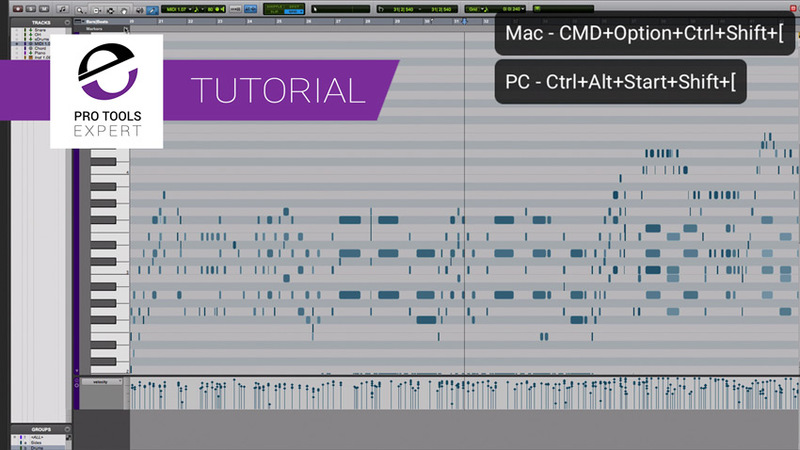 In this free video tutorial, Pro Tools Expert team member Julian Rodgers demonstrates a handy shortcut which zooms your MIDI to fit the editor. There are lots of zooming shortcuts based around the square brackets. I used to use Command+Square Brackets as my default method for horizontal zooming. I've migrated over to R and T in command focus but lots of people miss these altogether, maybe because they started with command focus keystrokes. In the free video tutorial Julian demonstrates this and a few other well known but handy related shortcuts. Pro Tools Waveform Views, Are Yours Left On The Default Setting? Look At The Options In Our Free Tip Video. Auto Fades In Pro Tools - Why You Probably Don't Need To Edit Fades On To Clip Boundaries In Pro Tools Ultimate.